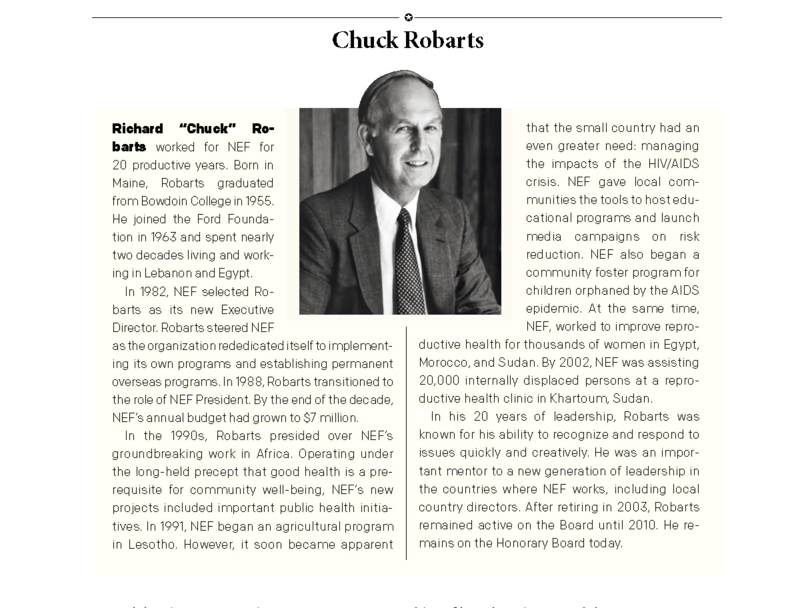 On March 25, 2018, NEF said goodbye to Richard Robarts, a revered leader of the Near East Foundation for 22 years whose philosophies and impacts are still very much present at NEF today. The Near East Foundation is forever grateful for Chuck’s contributions and the countless lives that he touched. With great sadness and much respect, we say goodbye to a true man of service who gave so much of his life to this organization. 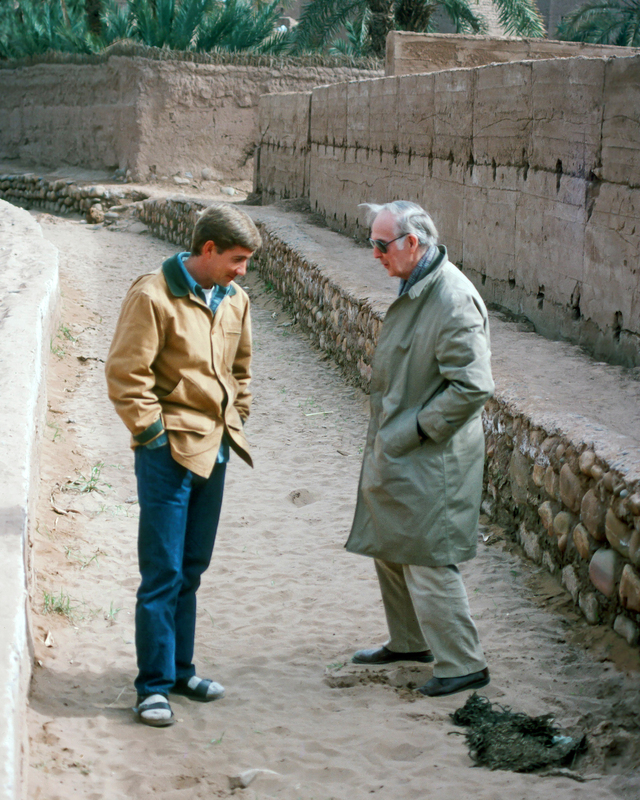 Current NEF President, Charles Benjamin (left), and NEF President at the time, Chuck Robarts (right), standing in an irrigation ditch in Southern Morocco in 1993.